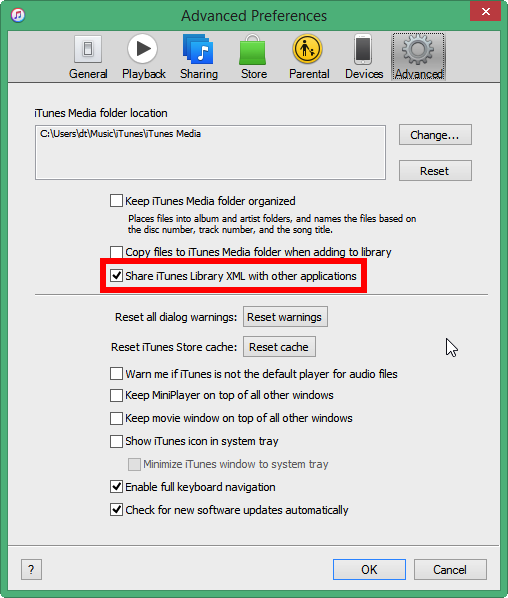 The iTunes setting for sharing your music library info with other apps (iTunes Library XML) may be set to OFF by default. Your iTunes library is located in a non-standard location (such as a different hard drive). Starting with iTunes 12.2, Apple decided to make life harder for users and music developers by introducing a new setting in iTunes Preferences, in the Advanced section, called "Share iTunes Library XML with other applications". Make sure that this is enabled. If it is already enabled, try toggling it from on to off and then back to on to force the iTunes XML file to be created/updated. Select Preferences, go to Advanced Preferences and make sure the iTunes Library XML with other applications setting is checked. 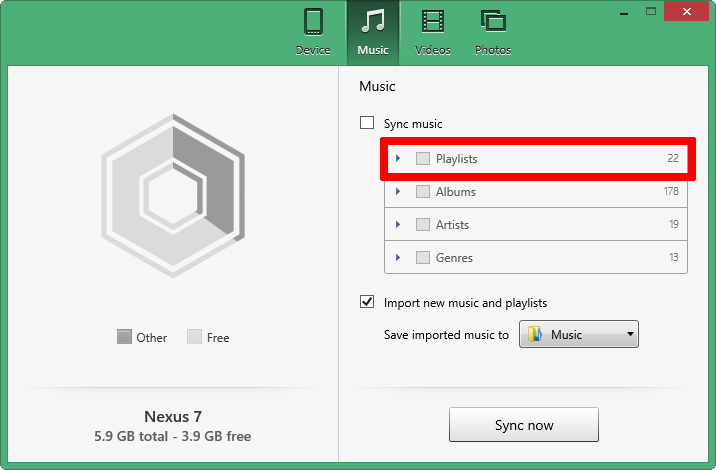 Relaunch doubleTwist Sync and any missing iTunes playlists should now be imported. 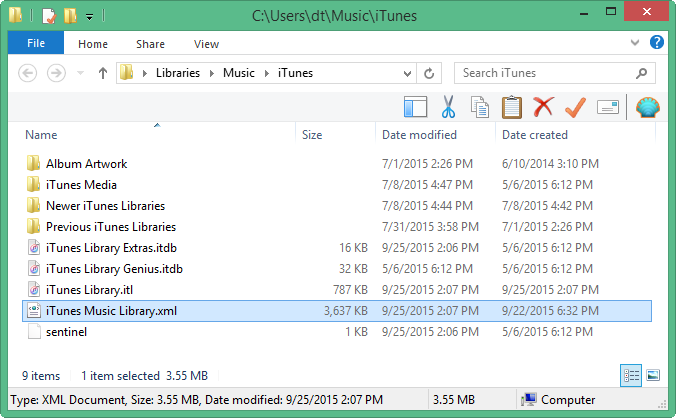 If you are an advanced user, you can confirm the iTunes XML file was correctly created or updated by using Windows Explorer to navigate to your iTunes folder. The Modified Date should now reflect the current time. 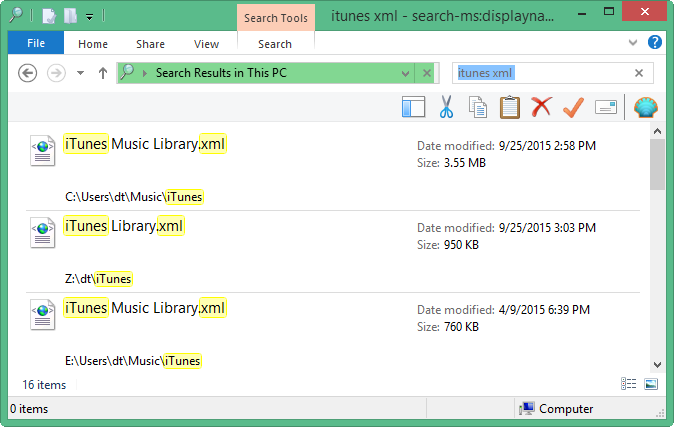 If your iTunes library is located in a non-standard location, such as a different drive, iTunes may have created a duplicate copy of the iTunes XML file in the default location causing doubleTwist Sync to use it instead of the correct XML file. For example, in the screenshot below, searching our PC for "iTunes xml" reveals three files, located at three different drives: C:\, Z:\ and E:\. 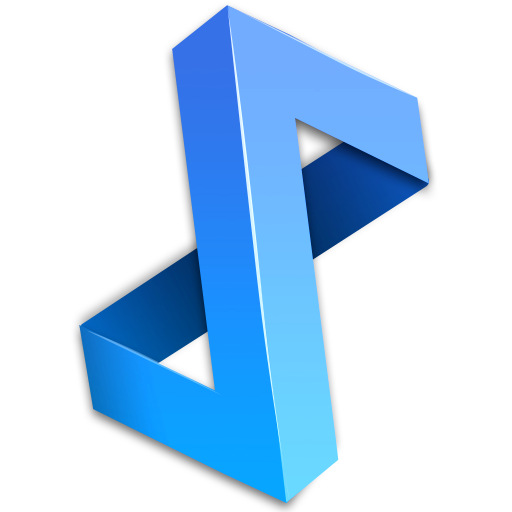 doubleTwist Sync will import data using the XML file from the default location (C:\Users\dt\Music\iTunes\) even if our current iTunes library is located on the Z:\ drive. To resolve this problem, rename or delete all copies of iTunes XML file except for the copy found in the current iTunes library location. Do not rename or delete the "iTunes Music Library.itl" or "iTunes Library.itl" file as this will affect your iTunes Library. How do I reset doubleTwist for Mac?